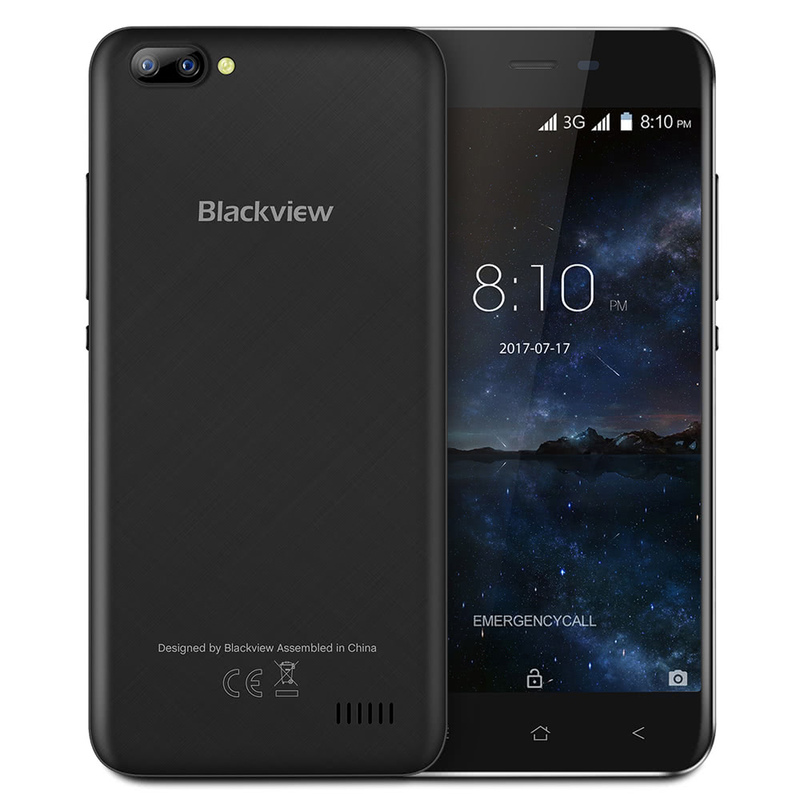 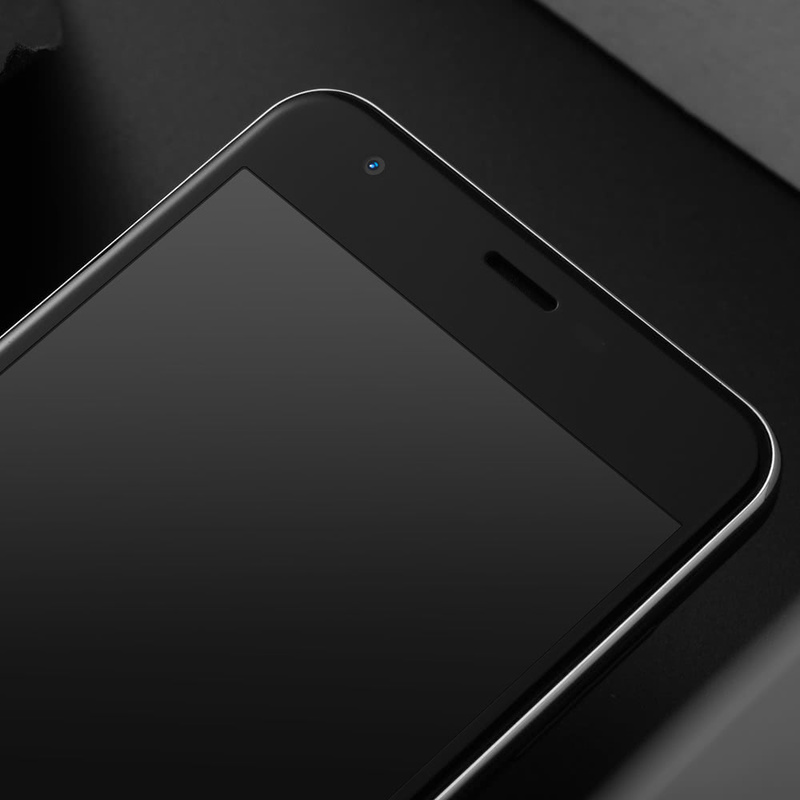 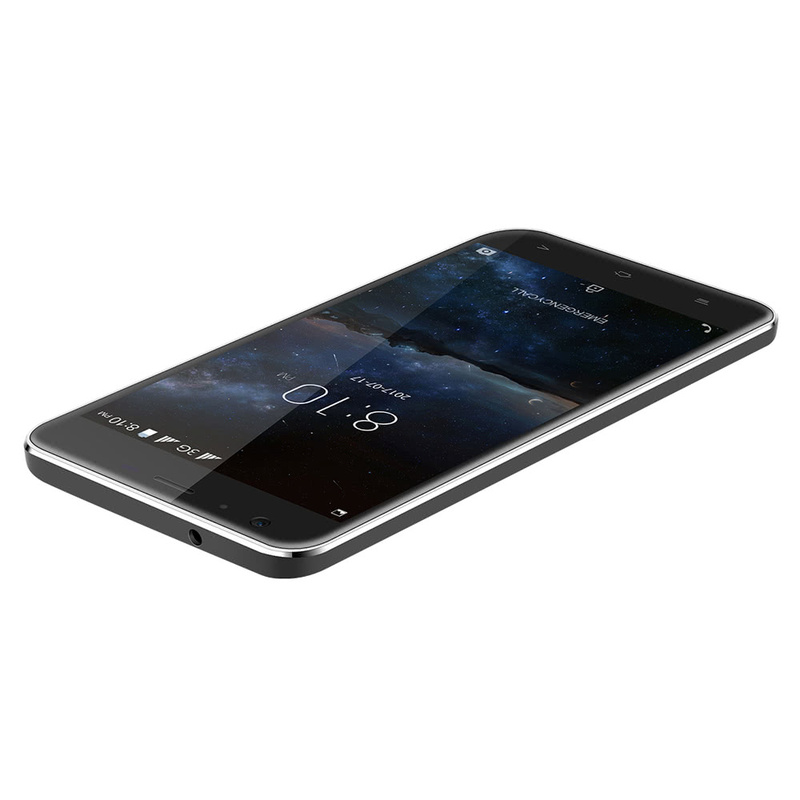 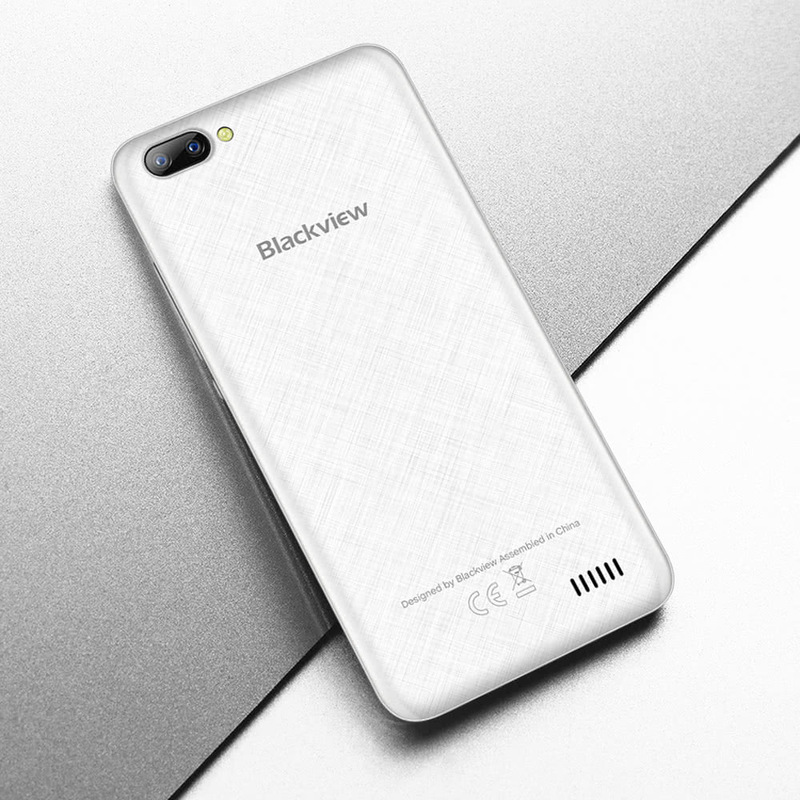 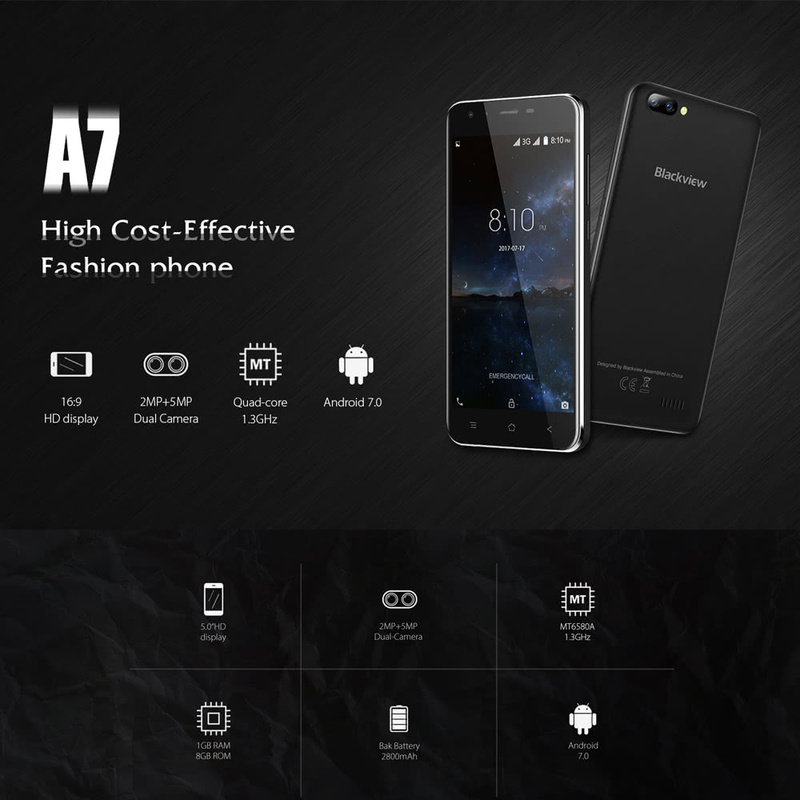 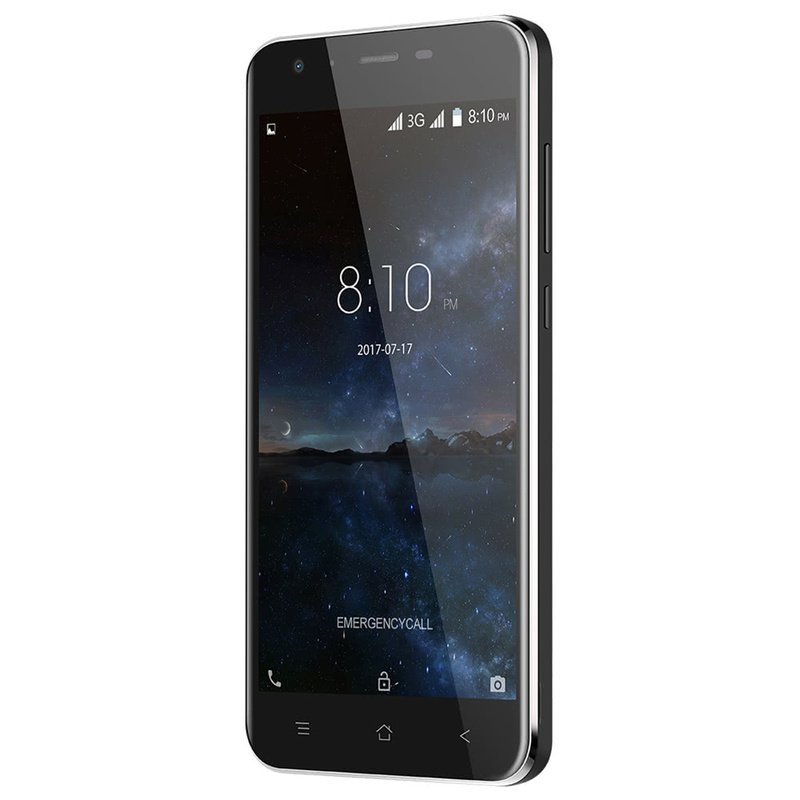 Blackview A7, smooth and round light body, special lines decorating in the back and unique gray bright side combine into the brif and rich design. 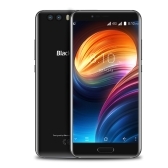 Extremely Great Hand Feel--equipped with 5.0inch HD display, the body is round and to each corner with curved lines, fitting for single hand operation. 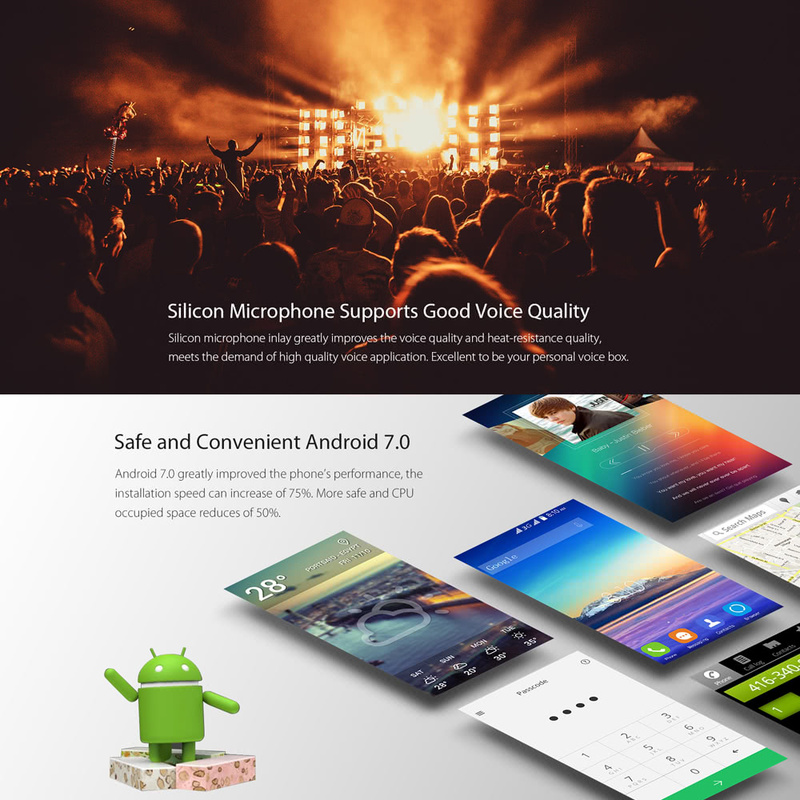 System Goes Smooth-- Android 7.0 is the most fluent version currently, taking up smaller memory, lower power comsumption and batter humanized version. 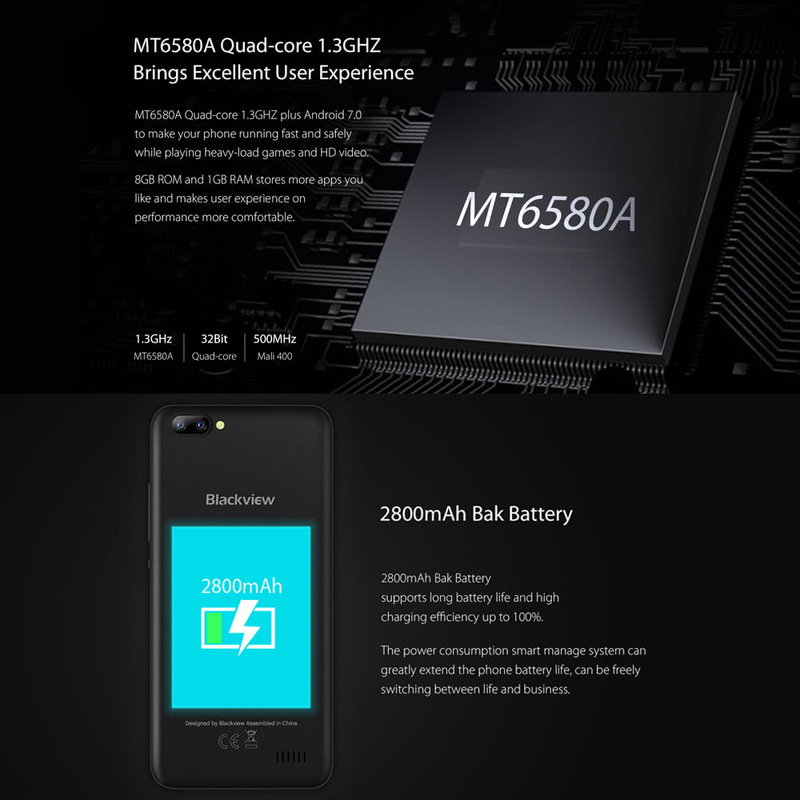 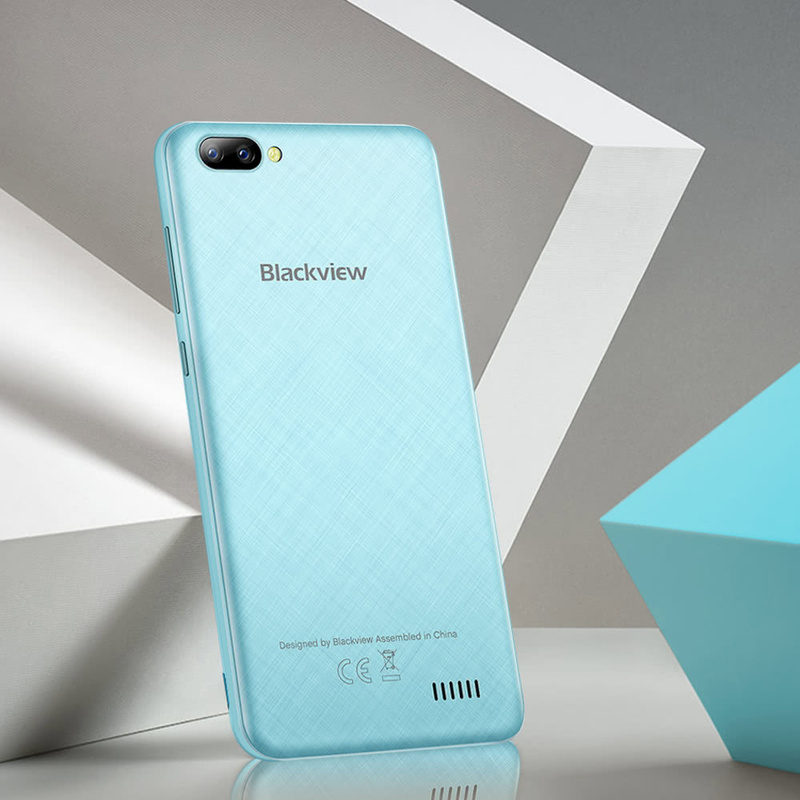 Lighting Speed--Powered by the MTK6580A Quad core 1.3GHz processor, Blackview A7 reacts to you operations immediately. 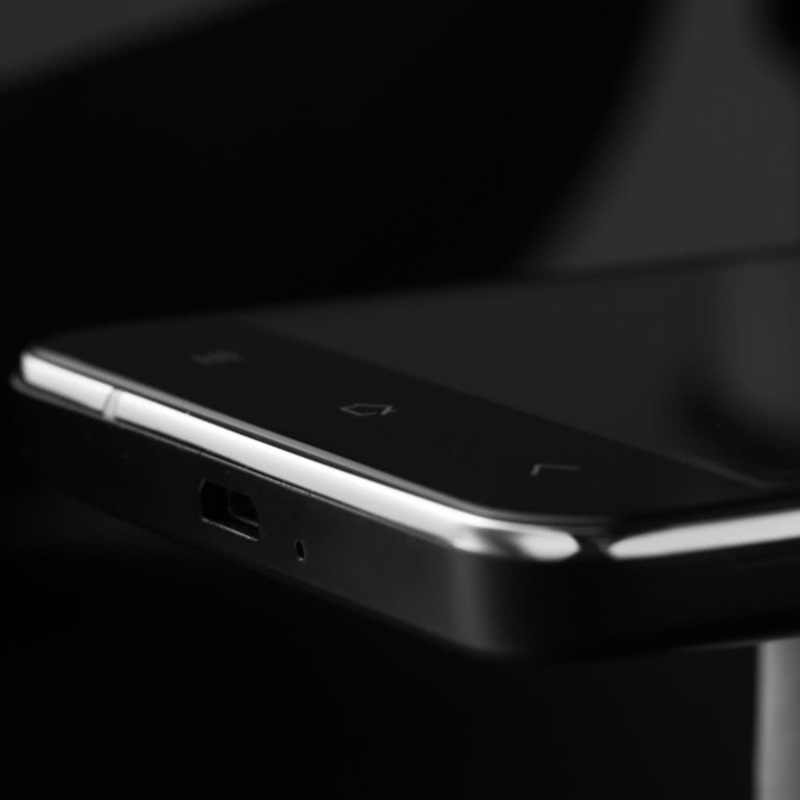 Combining with the optimized system it automatically harmonize CPU and GPU to the best running effect. 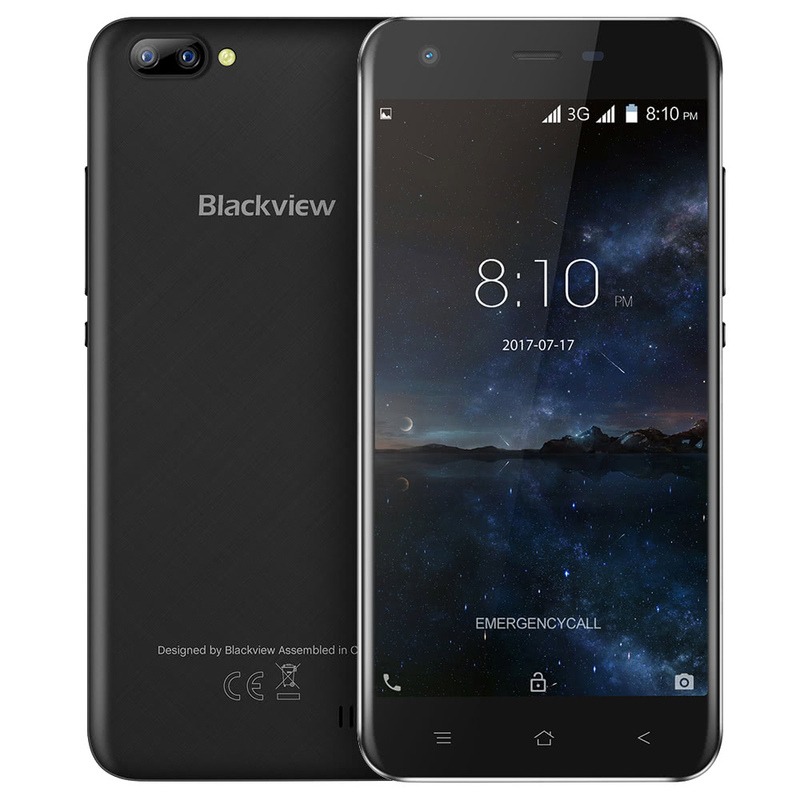 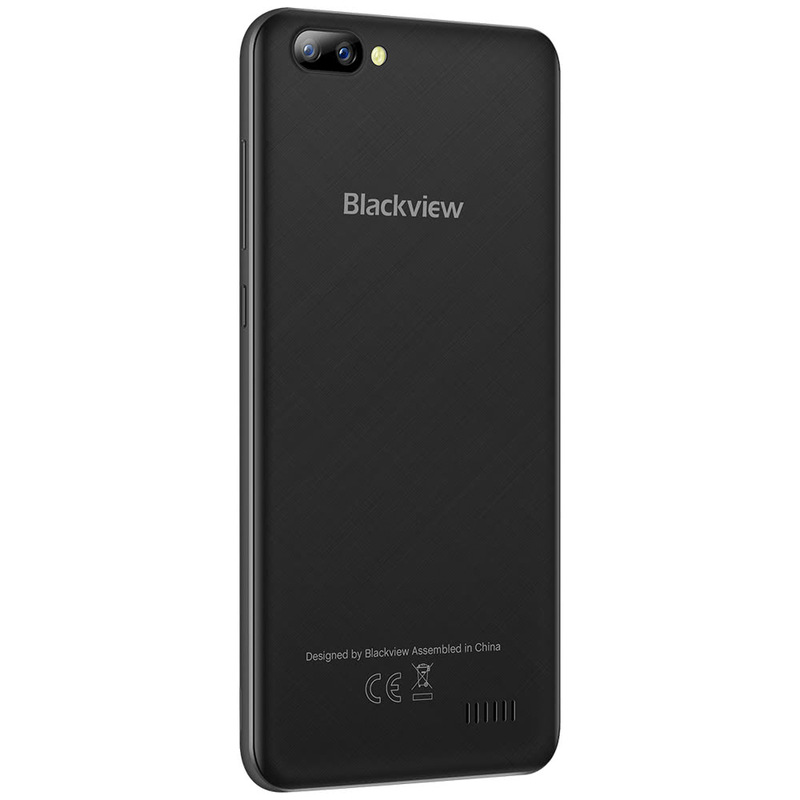 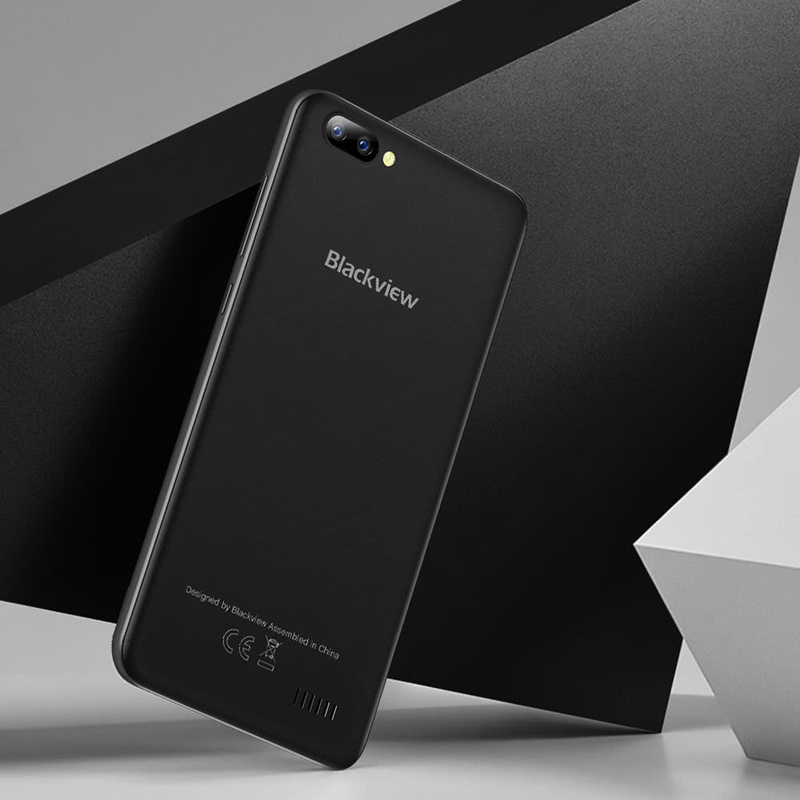 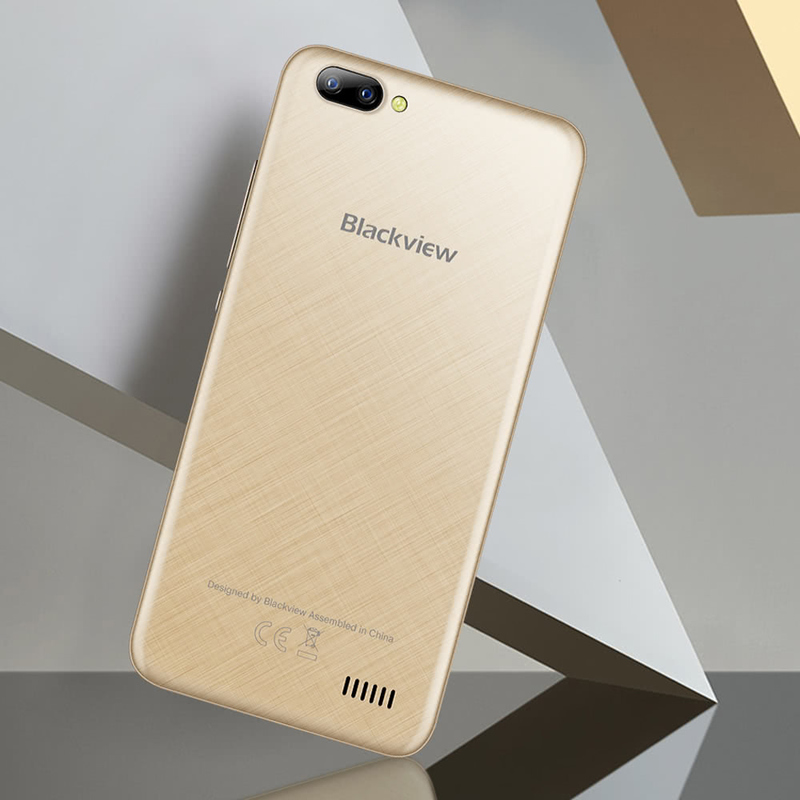 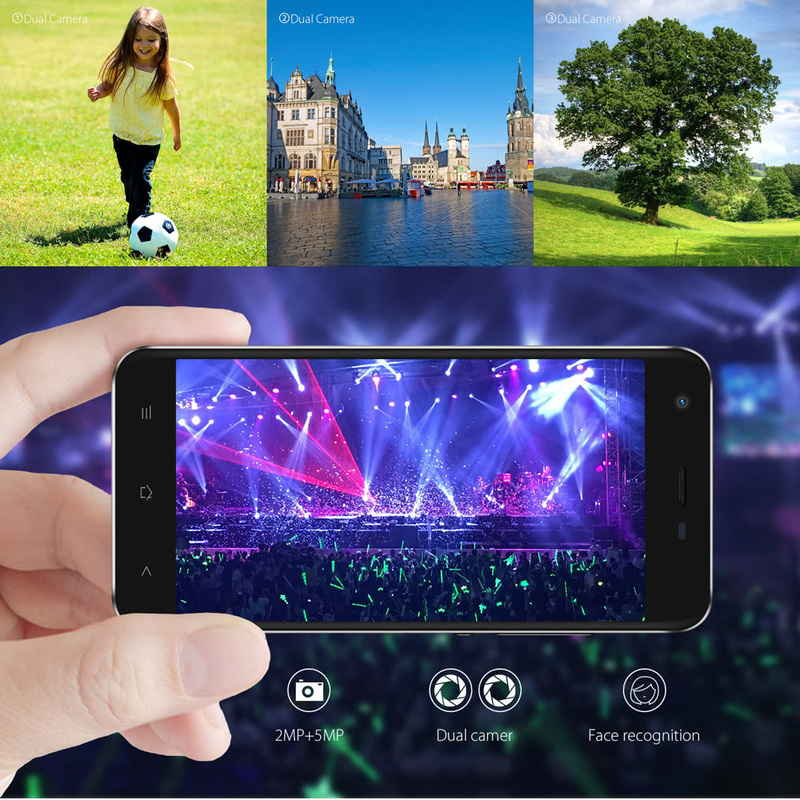 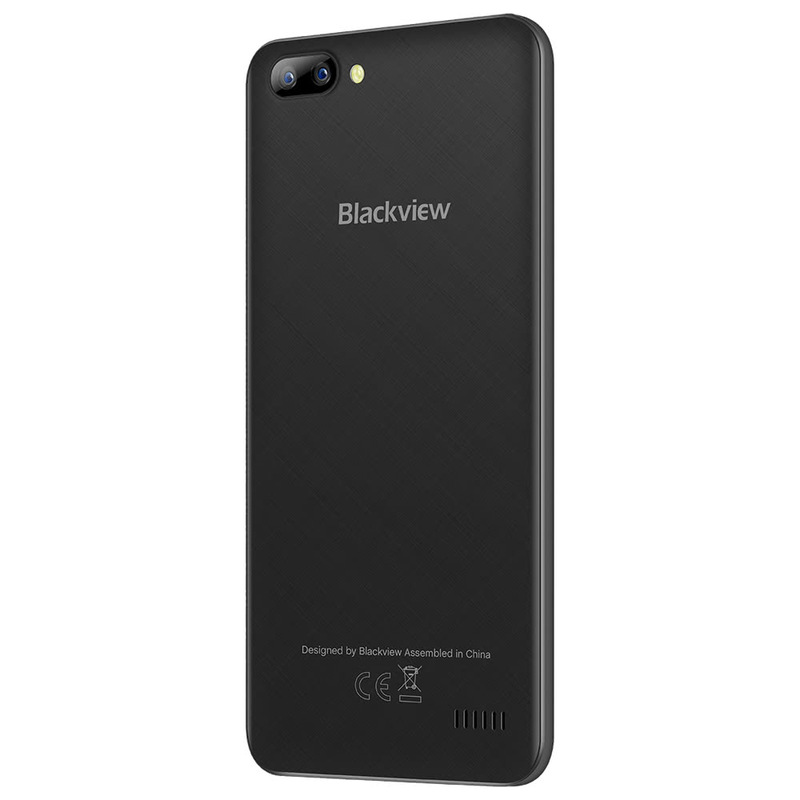 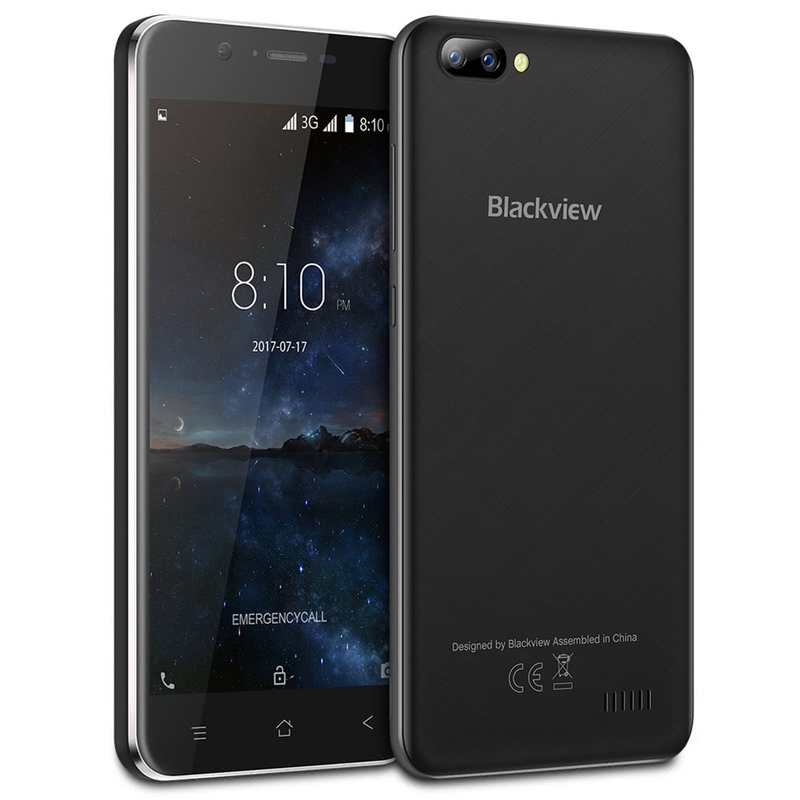 Dual Camera, Record Precious Moments--Blackview A7 gets 5.0MP+0.3MP Dual rear camera and 2.0MP Front Camera for nice shooting. 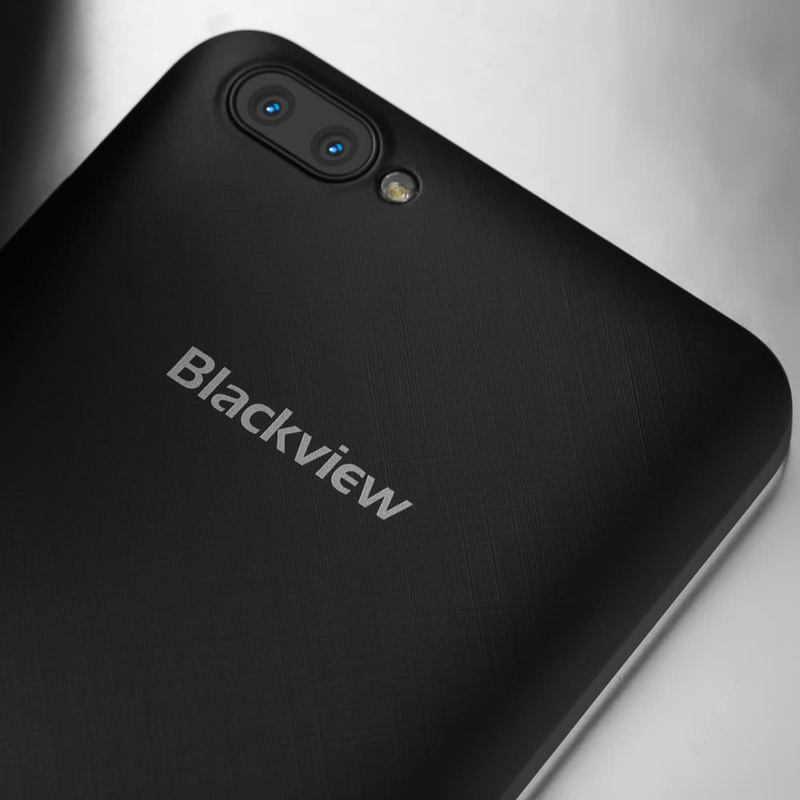 There will be one flash light with the rear camera, the high quality pictures are so clear just like you look with your own eyes. 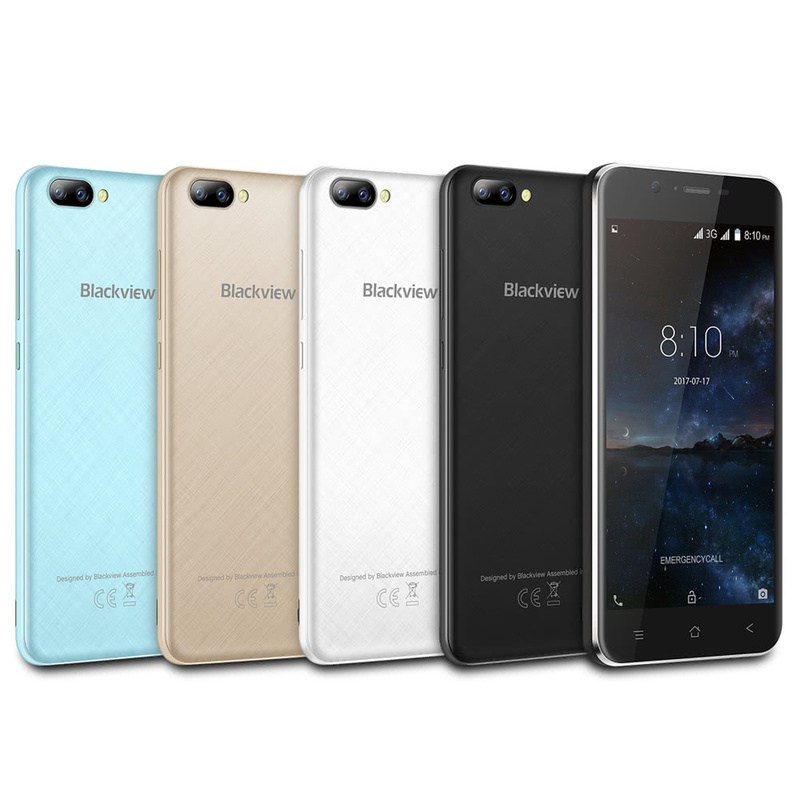 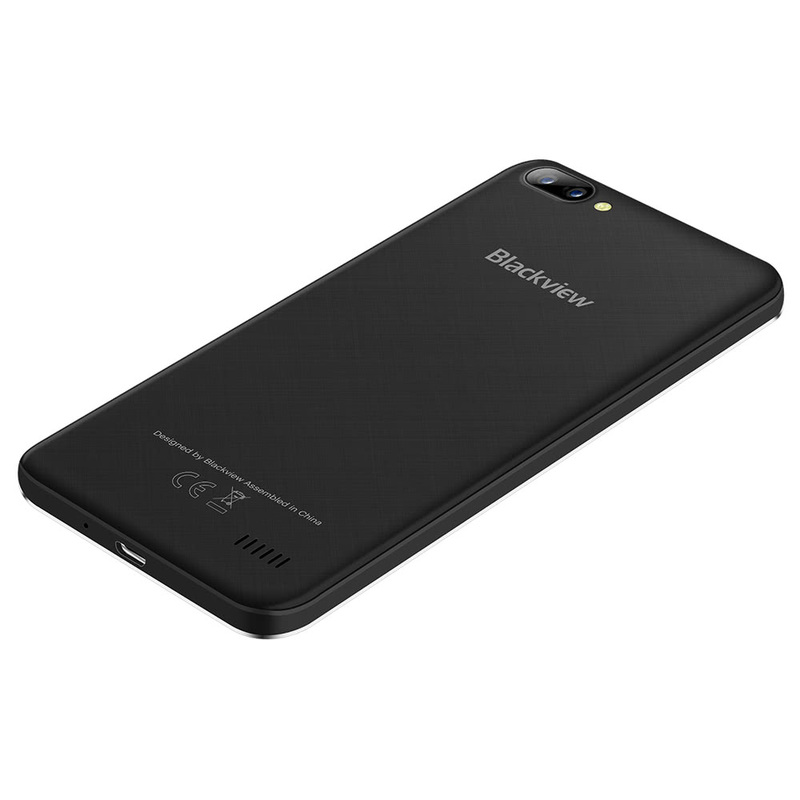 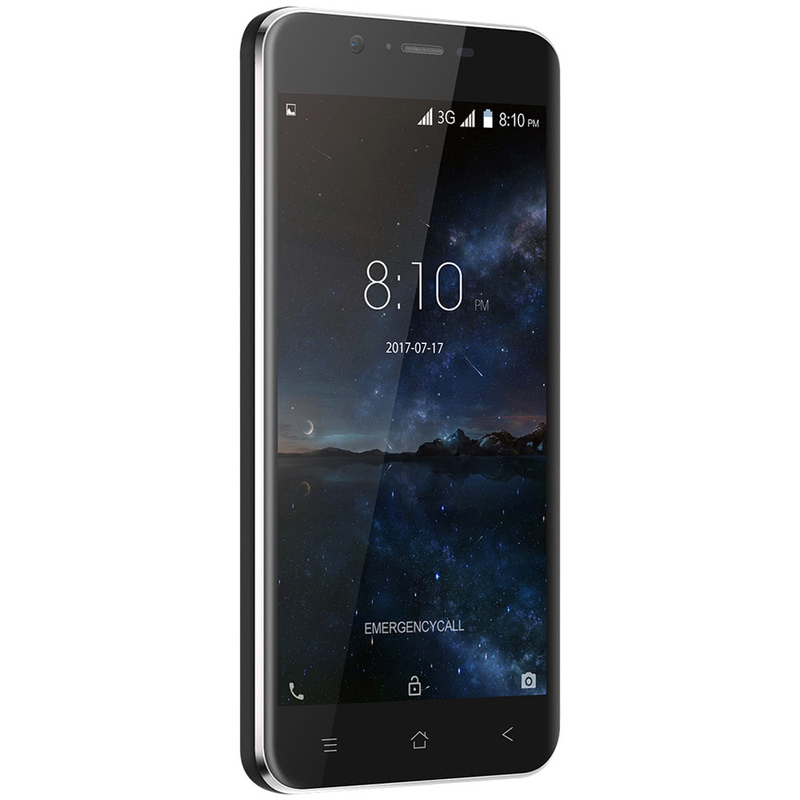 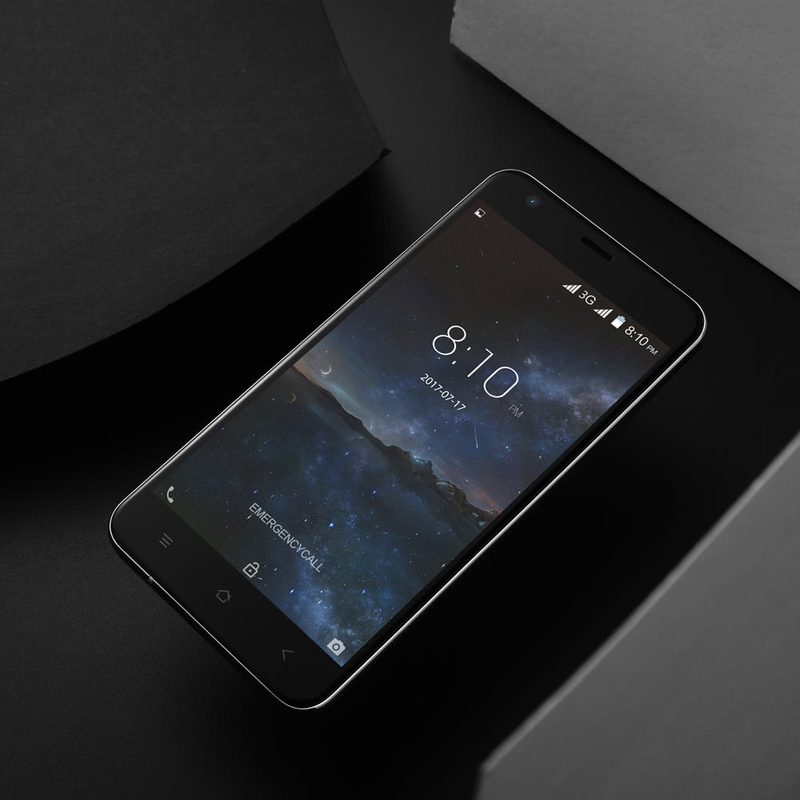 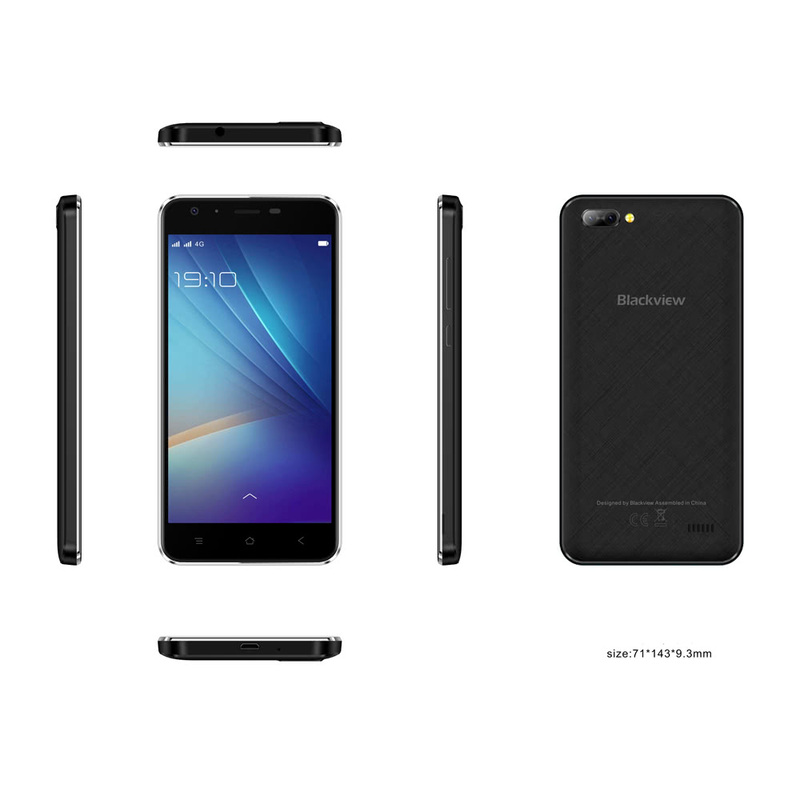 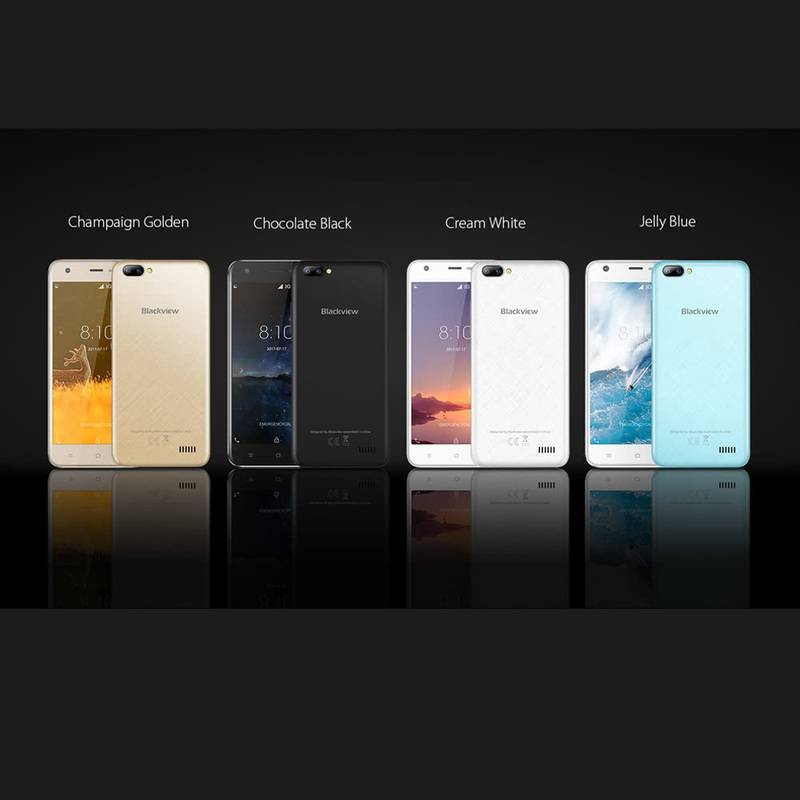 8GB ROM + 32GB Expandable Memory--offers you 8GB ROM with 32GB expandable memory, feel free to do it on Blackview A7. 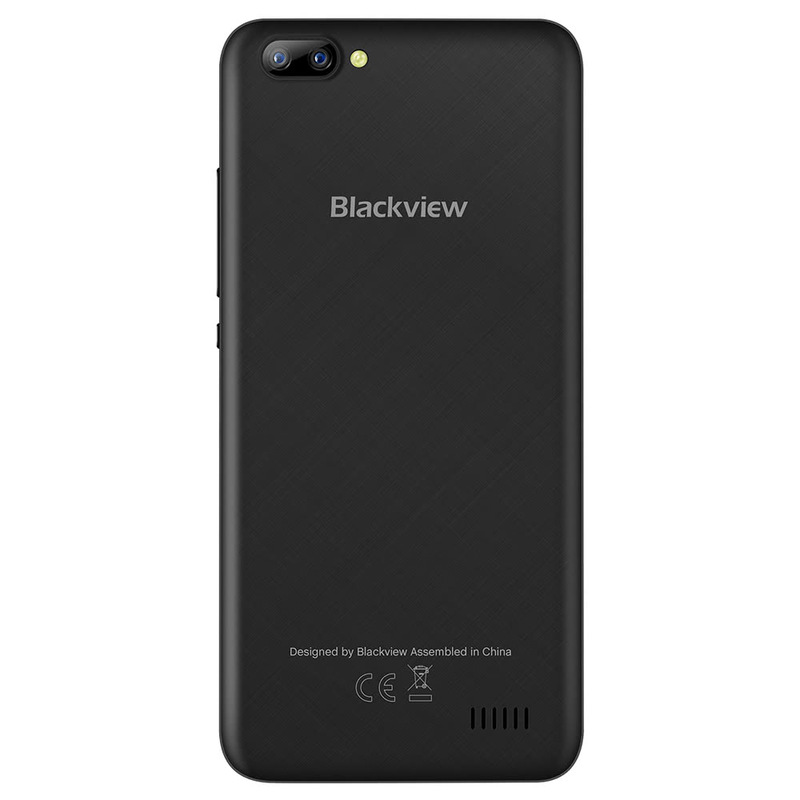 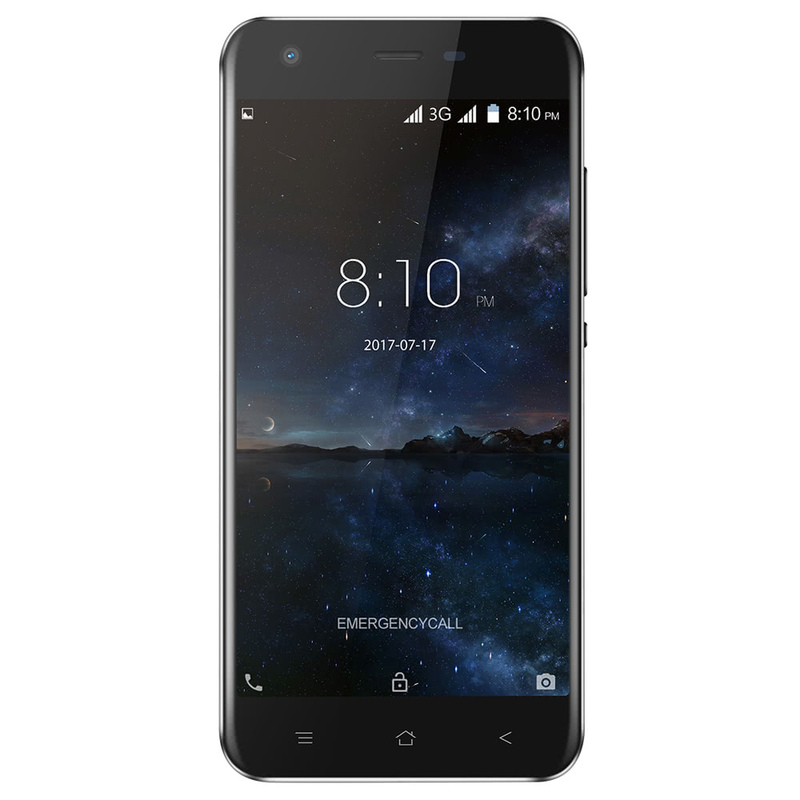 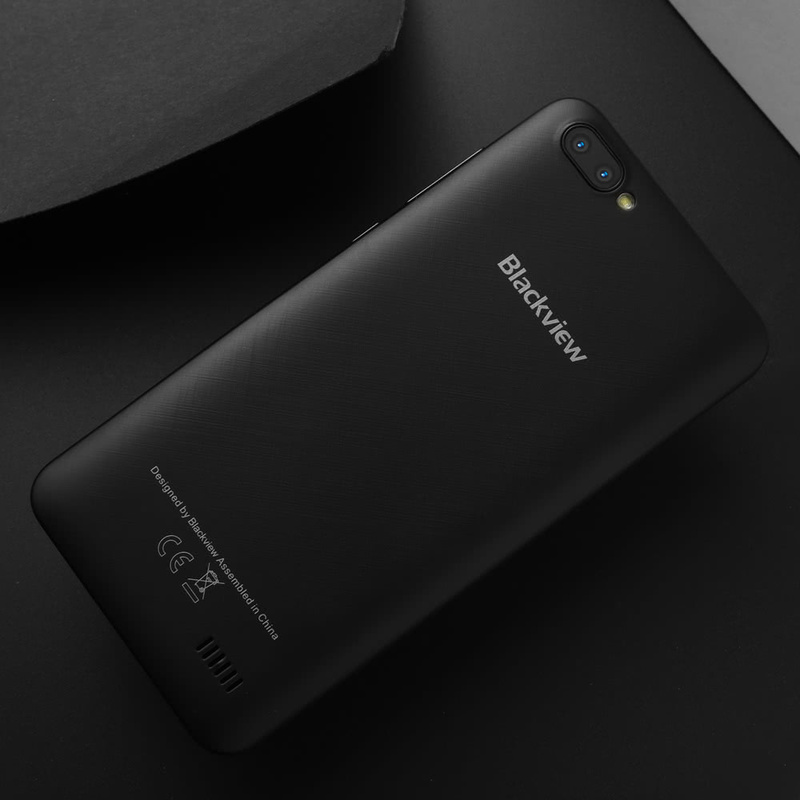 Removable Battery--Blackview A7 with a 2500mAh removable Polymer battery, you can easily replace a new battery to ensure strong battery life. 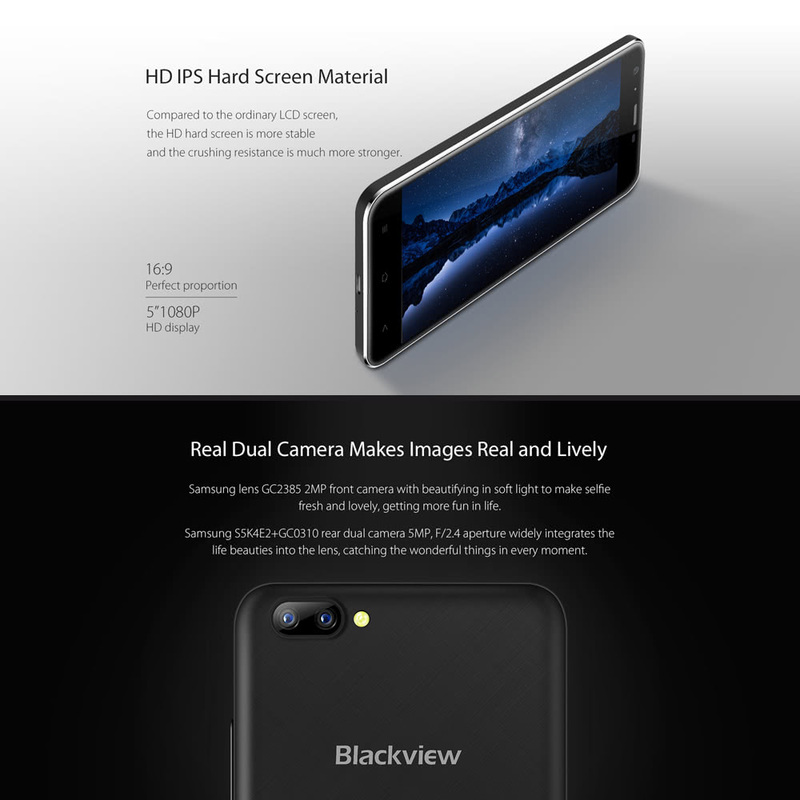 all of it is ok.the price is very good. 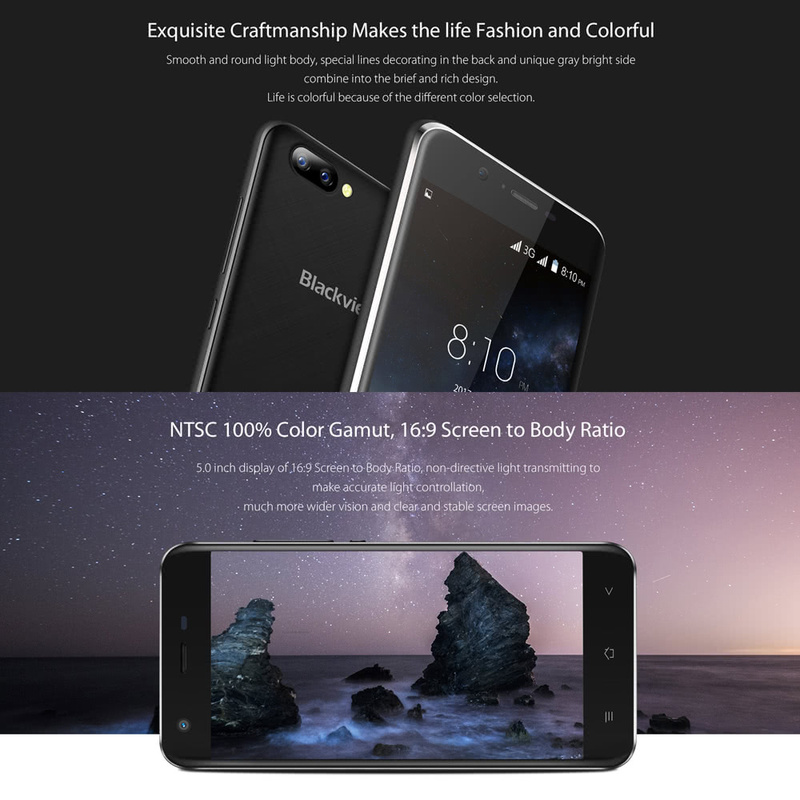 The battery lasts for a full day of use and the screen in bright enough to see comfortably. 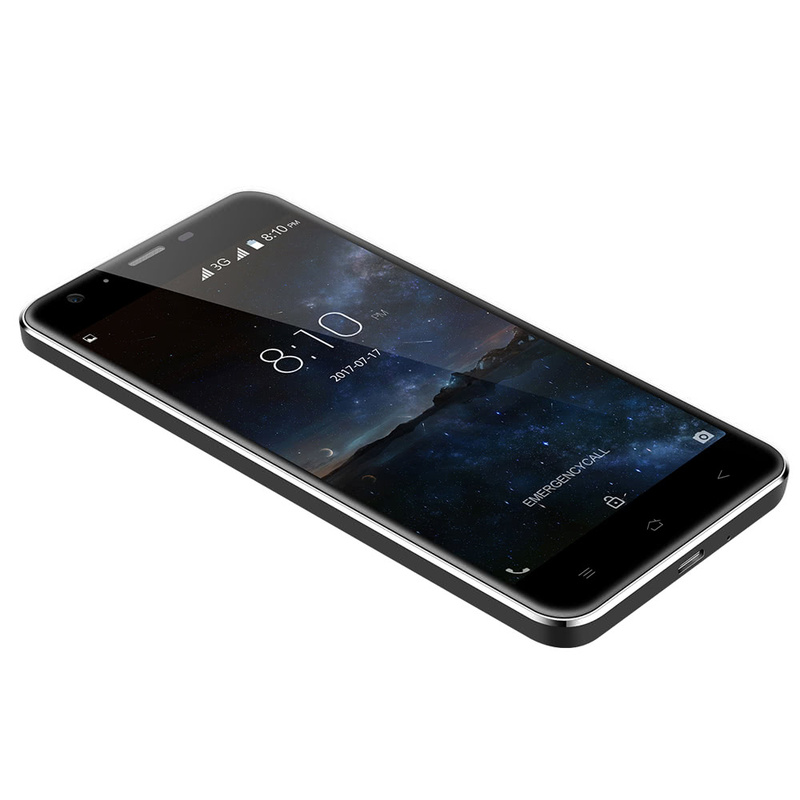 This phone surely is cheap but it has great features!